Magnet #188. 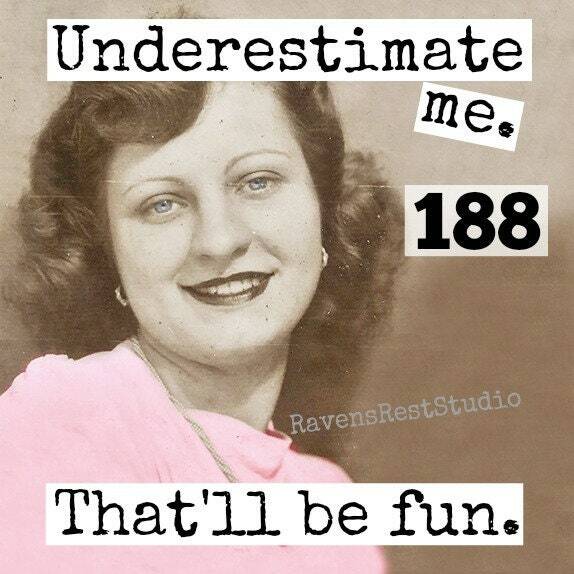 Underestimate Me. That'll Be Fun. 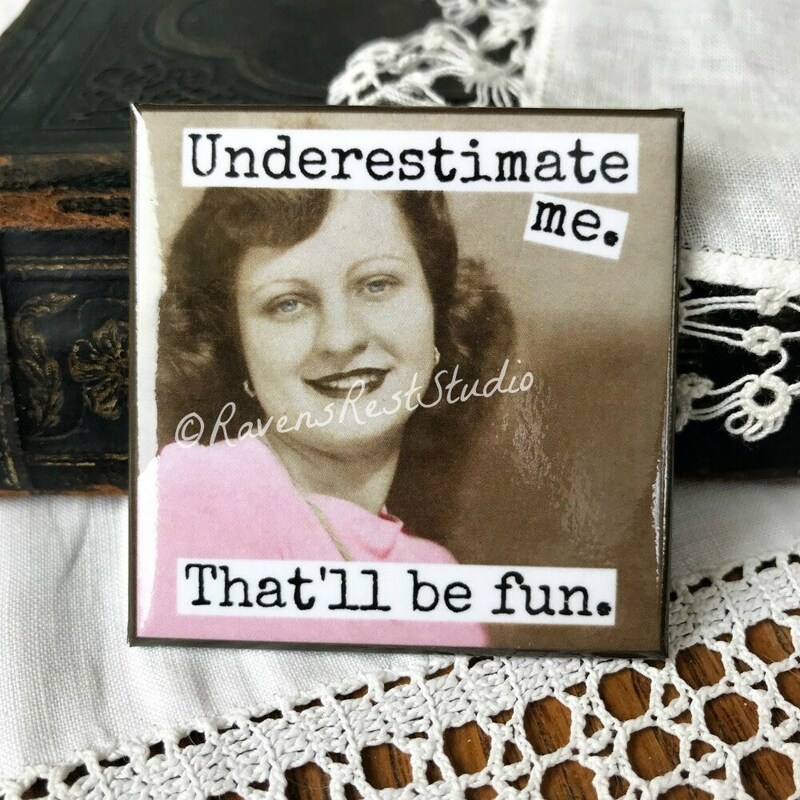 This 2 inch square magnet features a vintage woman in a photo booth and reads: "Underestimate me. That'll be fun."